The best time of the month…..
Next Show – Sunday 6th August – 16:00 – get those requests in! Time to get your requests in, folks! For info on the best way to get your requests noticed, take a look at our Requests section! 80s Time Machine Show 49 – 2nd Birthday Edition – is now on Mixcloud! 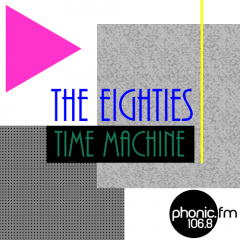 On 11th July the Eighties Time Machine celebrates it’s 2nd Birthday! Thank you to all our lovely listeners for your ongoing support. To celebrate, Jonny and Helen will choose their favourite tracks from the second year on the next show – will something that you originally requested be in the mix? 80s Time Machine Show 48 is now on Mixcloud! Next Show – **SUNDAY** 14th April 2019 16:00 to 18:00 – get those requests in! Next Show – **SUNDAY** 7th APRIL 2019 16:00 to 18:00 – get those requests in! Next Show – **SUNDAY** 10th MARCH 2019 16:00 to 18:00 – get those requests in!